Seven years after J K Rowling firmly shut the doors to Hogwarts, a UK-based web developer has opened a a�?windowa��. Launched in mid-April, Hogwarts is Here is a fan-made website that gives Potterphiles a chance to do what theya��ve always craved: study at the Hogwarts School of Witchcraft and Wizardry. The pet project of 24-year-old Keith D Cardin, Hogwarts is Here has all the course curriculum mentioned in the booksa��from Defence against the Dark Arts and Potions to Charms and Transfiguration. With volunteer professors being mapped to each subjecta��studied over seven nine-week coursesa��students (over 60,000 already) have to complete essays, assignments and quizzes in order to pass. 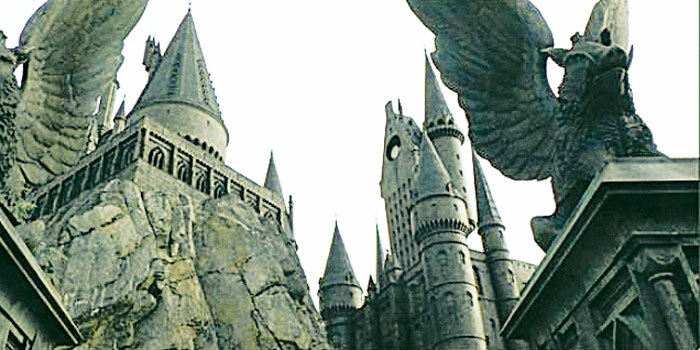 While Pottermore, a popular Potter-themed website, focusses more on Harry Potter and his journey at Hogwarts, Hogwarts is Here is all about the life and education of a witch or wizard. The big question we asked fans: why would you do this when there is no reward? a�?This is a dream come true. Ia��ve always wanted to be a part of Hogwarts, to learn the subjects, and this is my chance,a�? says Nidheya Suresh, a 21-year old Potterphile. So is it all a game? a�?It is like a game but I take this very seriously because, for me, Harry Potter is very serious,a�? says Pooja Kumar, 15, another fan.